This is a guest Apache Spark community blog from Facebook Engineering. 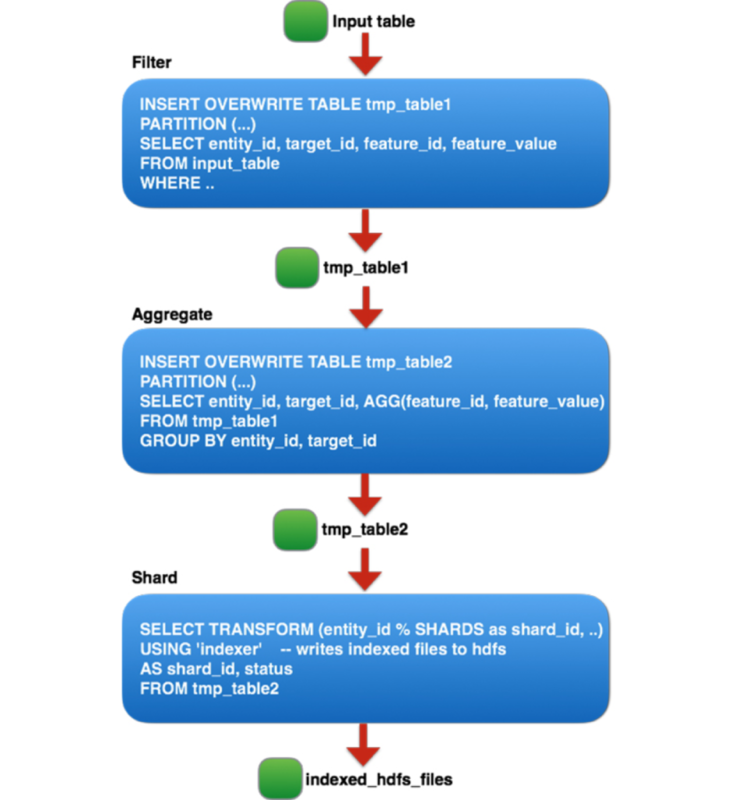 In this technical blog, Facebook shares their usage of Apache Spark at terabyte scale in a production use case. While the sum of Facebook’s offerings covers a broad spectrum of the analytics space, we continually interact with the open source community in order to share our experiences and also learn from others. Apache Spark was started by Matei Zaharia at UC-Berkeley’s AMPLab in 2009 and was later contributed to Apache in 2013. It is currently one of the fastest-growing data processing platforms, due to its ability to support streaming, batch, imperative (RDD), declarative (SQL), graph, and machine learning use cases all within the same API and underlying compute engine. Spark can efficiently leverage larger amounts of memory, optimize code across entire pipelines, and reuse JVMs across tasks for better performance. 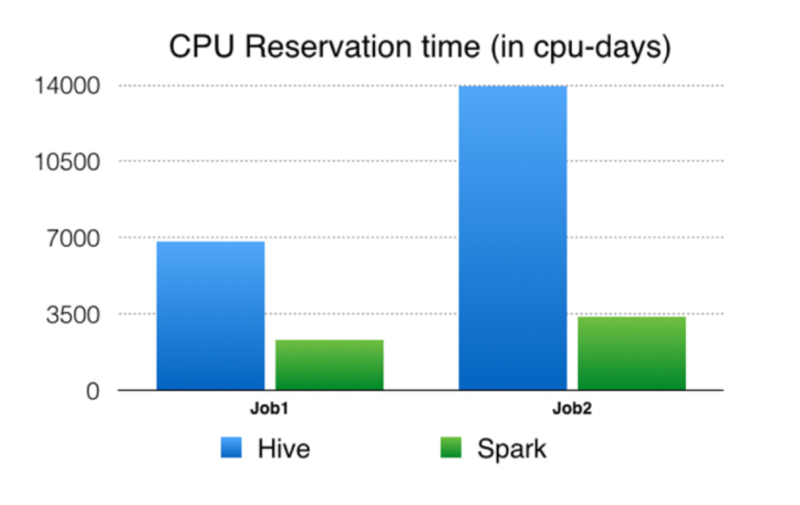 Recently, we felt Spark had matured to the point where we could compare it with Hive for a number of batch-processing use cases. 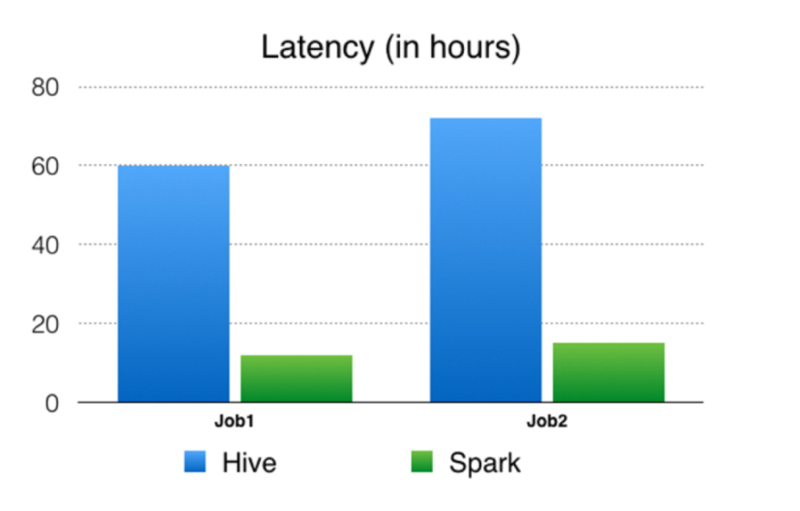 In the remainder of this article, we describe our experiences and lessons learned while scaling Spark to replace one of our Hive workload. Of course, running a single Spark job for such a large pipeline didn’t work on the first try, or even on the 10th try. As far as we know, this is the largest real-world Spark job attempted in terms of shuffle data size (Databricks’ Petabyte sort was on synthetic data). It took numerous improvements and optimizations to the core Spark infrastructure and our application to get this job to run. 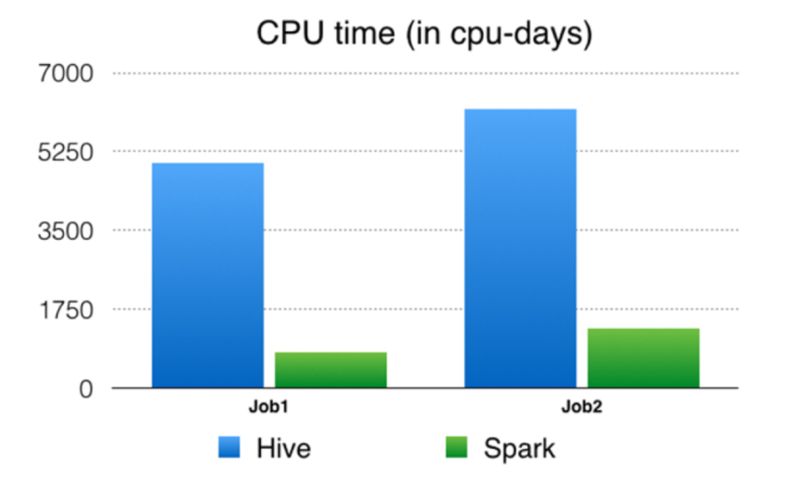 The upside of this effort is that many of these improvements are applicable to other large-scale workloads for Spark, and we were able to contribute all our work back into the open source Apache Spark project — see the JIRAs for additional details. Below, we highlight the major improvements that enabled one of the entity ranking pipelines to be deployed into production. Fix Spark executor OOM (SPARK-13958) (deal maker): It was challenging to pack more than four reduce tasks per host at first. Spark executors were running out of memory because there was a bug in the sorter that caused a pointer array to grow indefinitely. We fixed the issue by forcing the data to be spilled to disk when there is no more memory available for the pointer array to grow. As a result, now we can run 24 tasks/host without running out of memory.